Free for Members! Now open to non members for a $30 registration fee. The presentation will explore how ESOPs are similar to more common qualified retirement plans, as well as how they differ in some important respects. It will also highlight how ESOPs can be used as a business succession tool, including through the use of a 1042 rollover. Ms. Nedrow counsels employers on tax and ERISA matters, including fiduciary compliance and equity and other incentive arrangements. She guides clients through complex audits, investigations and corrections. Ms. Nedrow also helps companies address benefits issues that arise in mergers and acquisitions, including ESOP transactions. 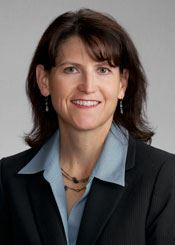 She currently serves as Administrative Partner of Holland & Hart's Billings, Montana office. Members may attend this informative session at no charge. A box lunch will be provided. Although the session is free for chapter members, you must register to reserve your seat as space is limited. Deadline to register is January 22nd at 5:00pm.